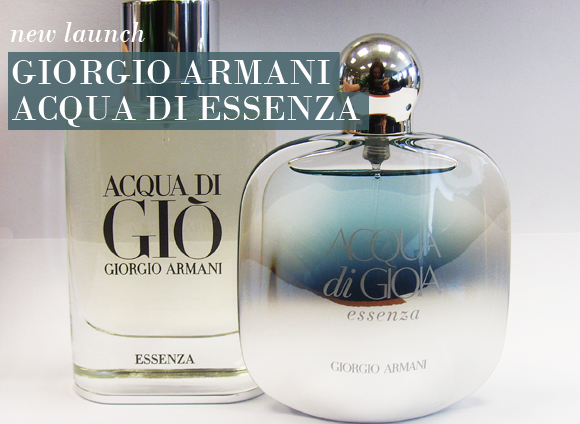 More than ten years after the launch of the iconic Acqua di Gio fragrance, Giorgio Armani presents a duo of fragrances that capture the essence of Armani: Acqua di Gio Essenza, and Acqua di Gioia Essenza. Inspired by the fresh scents of the Mediterranean island of Pantelleria off the south coast of Sicily, each sensual, cool fragrance embraces the body with intense notes. Each scent is more concentrated – into an Eau de Parfum for him, and an Eau de Parfum intense for her – and have reworked compositions. 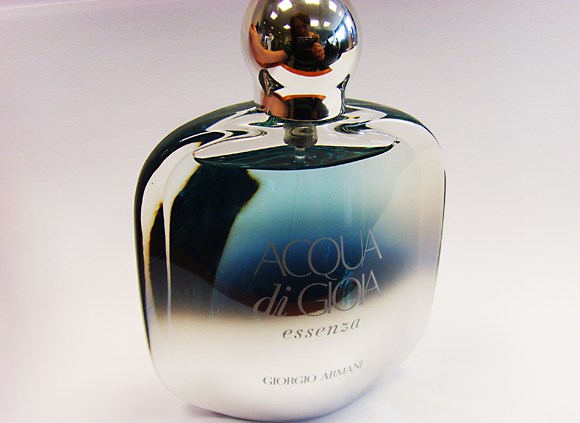 Acqua di Gio Essenza is reworked just slightly to offer a more intense expression of Italian cool. Brightening notes of bergamot, neroli, tangerine and ozonic marine notes remain just the same, but are made more intense with jasmine absolute instead of jasmine essence, while an infusion of intensely green and aromatic patchouli in the dry down adds further complexity. 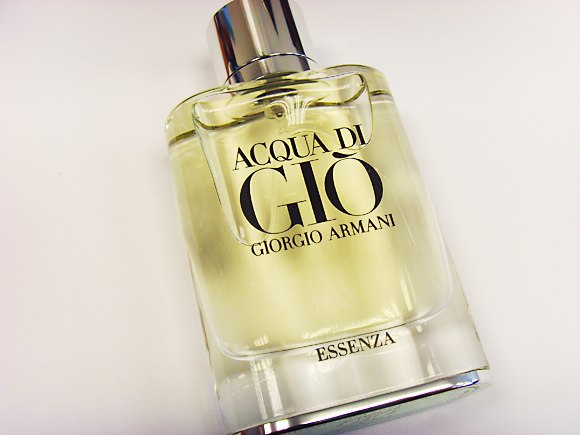 As it is an Eau de Parfum, Acqua di Gio Essenza lasts for a longer time on the skin. The depth of the fragrance is instantly apparent due to the level of concentration – you can detect the woodiness of the base notes right from the first spray, which immediately sets it apart from the more citrussy Acqua di Gio. While you can tell that the fragrance is a relation of the original Gio, it definitely cuts a sexier and more sophisticated shape. It could easily be referred to as Gio after dark! The original mojito-esque cocktail of Acqua di Gioia Essenza is altered right from the top notes. Mint leaves and lemon are joined by a spicy pinch of pink pepper, while delicate peony is omitted from the heart to make way for a trio of jasmine absolutes. Bourbon vanilla replaced vanilla essence in the dry down for a truly sensual end to the fragrance. This essence is a fitting tribute to the femininity of Acqua di Gioia: it retains the same intoxicating freshness of the original, but pushes it to the extreme with a higher concentration of fragrant oils. Gioia Essenza is an incredibly beautiful fragrance to wear – its blend of intense mint-and-lemon freshness and heady flora lasts for an impressive amount of time on the skin, and is the sort of fragrance that is inviting without being intrusive, and garners plenty of compliments. It's the first time i buy from here, and i will buy again in the future, the product is amazing and arrived on time. This entry was posted on Friday, June 22nd, 2012 at 3:00 pm and is filed under Fragrance, Men, New products. You can follow any responses to this entry through the RSS 2.0 feed. You can skip to the end and leave a response. Pinging is currently not allowed.